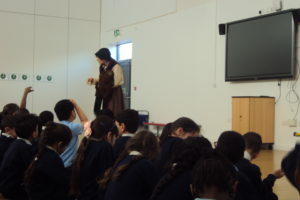 Key stage 2 were fortunate enough to have a visitor come into their assembly this afternoon. She had come all the way from 1842, bringing with her some of the sights and smells of life over 100 years ago. 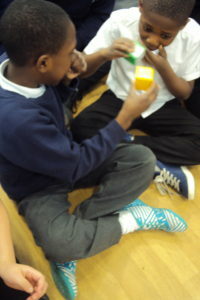 The children were immersed in the character and suggested ways in which she could get help for her cough including ‘speak to the council’ and ‘get some medicine’ but she explained her unfortunate circumstances meant she could not afford this. 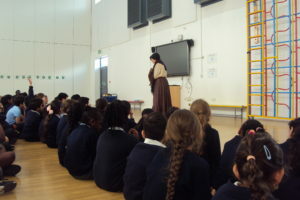 After the assembly the children discussed what they had found out in their classes and if they would like to learn more about the past, they could visit the Thackray Medical Museum across the road!